If I didn't feel old before, I do now. We had kindergarten roundup yesterday for our first child, Miss M.
It was an exciting event for all of us. When we first arrived, we were greeted by all things "cow". Yeah, only in Iowa. There were older/volunteer students wearing cow-spot hats. Kim, the coordinator (and a friend of mine from the Y) instructed us to inform Miss M that "anyone wearing a cow hat is OK to talk to." Instant safe-zone, gotta love it. 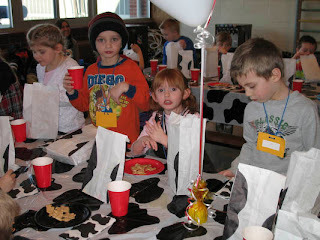 The presentation room was decorated with cow-spot balloons, tables with cow-spot tablecloths and even cow-spot lunch bags loaded with (you guessed it) animal crackers! Kudos to Kim for doing an awesome job. While the kids were off doing kid stuff, parents listened to presentations from the principal, nurse, counselor, PTA reps and, of course, each of the kindergarten teachers. I didn't know what to expect, but I certainly didn't expect the first words out of the Principal's mouth to be an announcement that this is the Class of 2021. As people were introduced, I began to feel older and older... and older. I lean ed over to my neighbor who was sitting next to me and whispered "When I was in school, I remember the teachers, principal and nurse all being much older." 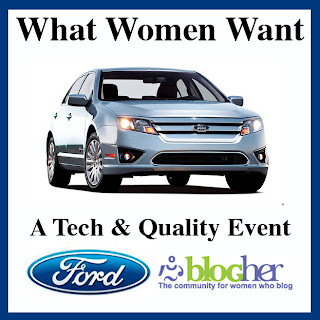 As each speaker stepped up to the microphone, they proclaimed to have the "Greatest Job in the Whole World" and I really think they each believe it! If the roundup is any indication of what school life will be like for Miss M, then she's going to love it... and so will we. 3/11/08 - Edit to give credit where credit is due: Kim emailed me to say the following "Thank you for the wonderful compliments! I couldn't have done it without all of my helpers. Lynne Schelly happened to be the lead this year and came up with the theme. It was MOOOOVE into KINDERGARTEN for an UTTERLY GOOD TIME!!!! Sue Miller also helped with organizing the googy bags and set up." Colby's in the same graduating class! so cute.....aw growing up she is. AAAHHHHH! I have a 2020 and a 2021. OMG! That is just painful on the ears. Oh my goodness! That means that my youngest is a member of the class of 2023! WOW! Glad to hear that Kindergarten round-up went so well!!! 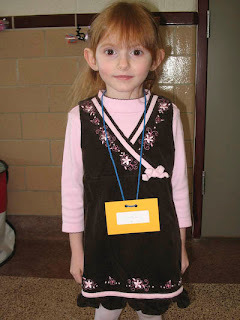 I feel sad reading this knowing that it wasn't that long ago I was enrolling our daughter for kindergarten.Next week she signs up for her SENIOR year to be finally the class of 2009.In 1996 2009 seemed so far away! !